This lovely lizard is a true work of art that will bring a rainbow of colour to any indoor or outdoor space. 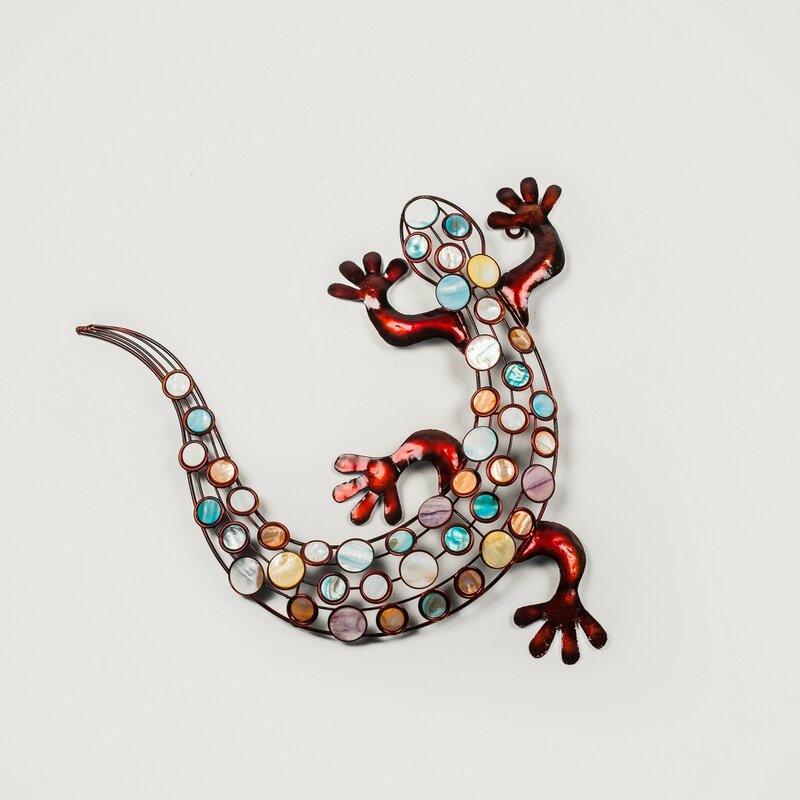 Made out of gleaming burgundy red powder coated metal, the lizard's body bears round settings that hold beautiful pieces of stained glass in pink, blue, yellow, orange and white hues. The Jewelled Gecko is dark red with mother of pearl-like gems on the head and body. There are rings on the feet so you can easily attach to a wall.